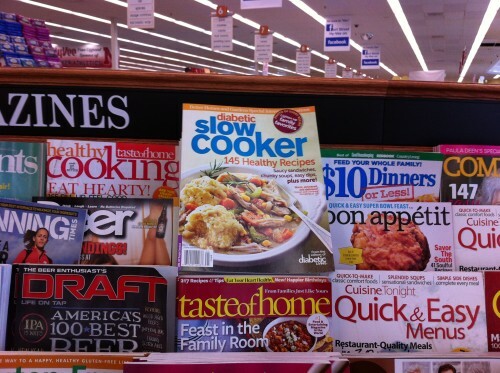 Last year spring I had the honor of developing six slow cooker soup recipes for Diabetic Living. It was such an awesome experience. I love to cook with a purpose. Since persons with diabetes shouldÂ pay close attention to the nutritional information of what they’re eating, I had to pay very close attention to the nutritional info while developing the recipes. It was so much fun. Well the recipes have been printed (I’m published! ;)) and the magazine is on the rack! When I cook something new for my family, I just start dumping and pouring stuff into the pot. I have a rough idea of how healthy something is by just being familiar with the ingredients and food labels. BUT with this assignment I had to make certain I did not go over the recommended amount of sodium, carbs, fats, etc. At times it was challenging but it was always fun. My measuring cups and food scale got quite the workout during development. I love soups and soups that can cook without me hovering about was even better. Sometimes it is so nice to throw everything into the crock pot, put the lid on, turn it on and let it work it’s magic for 5 hours or so. 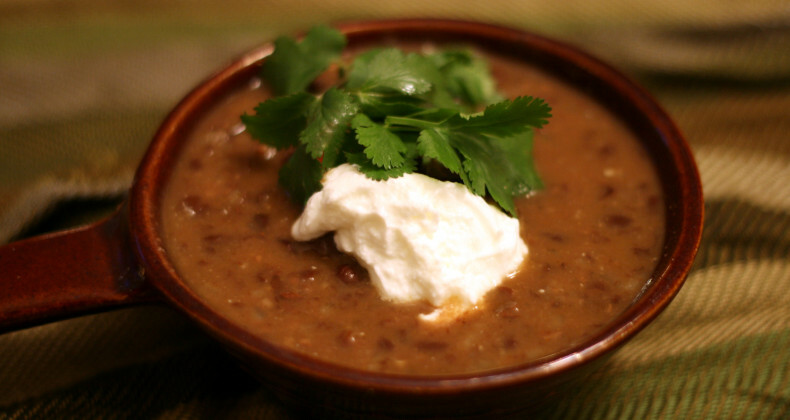 Today I am going to share with you the vegetarian black bean soup. What is your favorite way to use your slow cooker? In a large pot combine beans and the 8 cups water. Bring to boil; reduce heat. Simmer, uncovered, for 10 minutes. Remove from heat. Cover and let stand for 1 hour. Drain and rinse beans. In a 4 qt slow cooker combine drained beans, onion, jalapeno, garlic, broth, cumin, chili powder, and salt. Cover and cook on low for 9-10 hours or on high for 4 1/2-5 hours. Use a potato masher to coarsely mash the beans. Top each serving with cilantro and serve with the lime for squeezing. If desired, top each serving with sour cream (or Greek yogurt). I use my slow cookers for soups and roasts mostly. At the cabin we use it about every day. FYI – we are reprinting that issue so it will be on newsstands again in September!